Starting tomorrow, the major credit card companies in the United States are officially eliminating the signature requirement for purchases, marking an end to a long running but increasingly unnecessary policy. American Express, Visa, Discover, and Mastercard first announced plans to end credit card signatures late last year, but have now confirmed to The Verge that the policy change will go into effect starting on April 13. American Express, Mastercard, and Discover all plan to stop requiring signatures tomorrow, while Visa plans to follow later in the month. Credit and debit card companies have long required signatures for purchases as an added security measure, but with technology improvements that include contactless payments and the adoption of EMV chip technology, signatures are an outdated authentication method. Officially eliminating signatures when making a purchase will allow for a more consistent, streamlined, and speedy checkout experience for both merchants and cardholders. 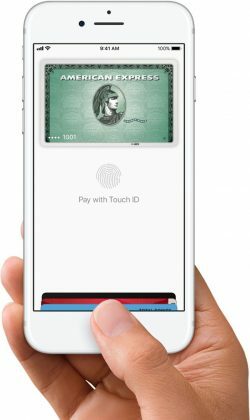 It should also streamline the Apple Pay experience in the United States, as a signature can on occasion be required for purchases over $50 when using Apple Pay, a step that will be eliminated when the signature changes become official. American Express plans to end the signature requirement in the United States and other countries around the world, while Mastercard will eliminate it in the United States and Canada. Discover plans to end signatures in the United States, Canada, Mexico, and the Caribbean, and Visa is making signatures optional in North America for companies that offer chip systems. All merchants continue to be able to collect signatures if required to do so by an applicable law in a particular jurisdiction. Now we just need to end the scourge of swiping a magnetic strip. Oh, and make all these contactless systems be unified in some way so we can use our ApplePay, googlePay, etc. without the gamesmanship. And eliminate the silly QR barcode payment crap. It's about time. No one checks for signatures anyway. I can't believe this is the way Americans pay for stuff. Crazy. I've seen this discussion before but never really understood it fully to be honest. I'm from Europe and here we use PIN-codes. Is that replacing the signatures or will there be no verification at all? For many years I have enjoyed travelling to America and being asked to sign when I use my credit card. It's like travelling back in time. What’s the QR barcode payment? Haven’t come across that. WalMart Pay is an example of a QR-based payment solution. It’s goofy and REALLY slow as you have to open the app, wait for it to load the store info, authenticate with WalMart pay, and then scan the code. Really awful workflow. They claim it’s faster than reaching for your wallet. BS. It’s just as slow as reaching for your wallet and your wallet doesn’t require the extra steps! Better solutions are already here. Time to consolidate, simplify, and make more secure/efficient. A lot of places have tap to pay...I just used it inside a gas station yesterday. It is fast once you have your card in hand, but overall having to find a credit card, use it, put it back is probably no faster than ApplePay. In the US we only utilise PINs for debit cards. Even then, you can simply override entering a PIN by pressing, “enter,” or, “accept.” 100% fraud enabling. I’ve also never been asked for an ID to verify the name on a card. We’ve always been behind on security and verification. It's about darn time. The required signatures are the relic of a time long ago. I don't even sign the back of my credits cards. Going into a store, paying, and then signing some small receipt (which is difficult to keep flat on the counter) is bizarre. It's totally normal -- those of us in the USA are used to doing it. But if you stop and think about what's happening you realize, "Why am I doing this?" Man. I can no longer sign with phallic shapes or smiley faces. Good times.